December 14, 2008 / Jonathan Waite / Comments Off on Help! We need somebody(s)! Holy smokes, it’s almost 2009! 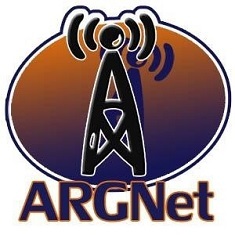 It’s been another great year for us here at ARGNet and I owe it all to the wonderful volunteers that research, write, edit and publish articles for this site. Without them, ARGNet would be a tumbleweed blowing in the breeze, so my hat is off to all of those that contribute here. 1. Write a 100-150 word blurb-style article on any currently running game. For recent examples, see ARGNet Owner/Editor to appear on Irish talk radio morning show and Update: Ghosts of a Chance Live Event. 2. Write a 400-500 word feature article about any of these topics: 1) a game, current or historical; 2) an interesting story or aspect of the ARG community; 3) a topic of interest to the ARGNet readership; 4) being a puppetmaster or behind-the-scenes game creator. Submissions need to be sent in to [email protected] by 11:59 pm (CST, GMT -6) by this Friday, December 19th, 2008. Naturally, spelling and grammar count, and a submission does not guarantee an invite to join the ARGNet staff. One final bit of volunteer goodness: We will be moving ARGNet from Movable Type to a WordPress installation by Q1 2009 and require beta testers for the new site. These testers would be invited to tag articles and assign proper categories for articles that already exist, as well as adjusting HTML code for images. Some technical knowledge is a bonus, but the process is fairly easy once we get you started. If you’d be interested in this endeavor, you can send your name to the [email protected] email address as well.